Caroline was born and raised in Orange County, California. She graduated from San Clemente High School, and attended Orange Coast College, as a Fine Arts Major. She began her ballet training under Lila Zali, (founder and director of Ballet Pacifica). She studied with many famous teachers such as; Paul Maure, Michael Panieff, Victor Moreno, Carroll Stasney, Irina Kosmovska, Eva Ralf, Margaret Hills, Stanley Holden, Melissa Hayden, Wilhelm Burmann, Joe Tremaine, and Bella Lewitzky. 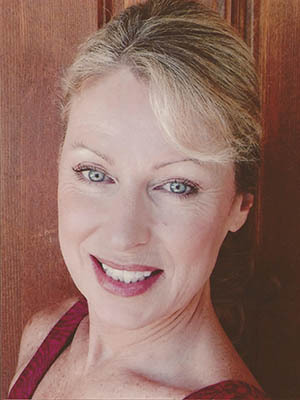 She danced professionally from 1976-1982 with Ballet Pacifica, performing both classical and contemporary works.She has taught professionally for many years at Ballet Pacifica in Laguna Beach, CA, Morelli Ballet in Manhattan, NY, and at Desert Devils Gymnastics in Scottsdale, AZ. She currently lives in North Scottsdale with her husband Franco Fazzuoli, world renowned restaurateur. She has two daughters who both have studied ballet and danced professionally with Ballet Arizona, with one currently competing on the professional ballroom circuit.